Among the grand monuments and beautiful moutain views in and around Turin, the luxury chocolatiers and cafes scattered in the city’s arcades making it a foodie’s dream. Now we all know that Italy is famous for its coffee, but did you know that Turin’s speciality is called Bicerin? Served in a small glass, Bicerin is made up of rich hot chocolate with an added layer of espresso and fresh cream. You can walk into almost any cafe and you’ll find this traditional hot drink on the menu, but there’s only one place you can get the real deal. 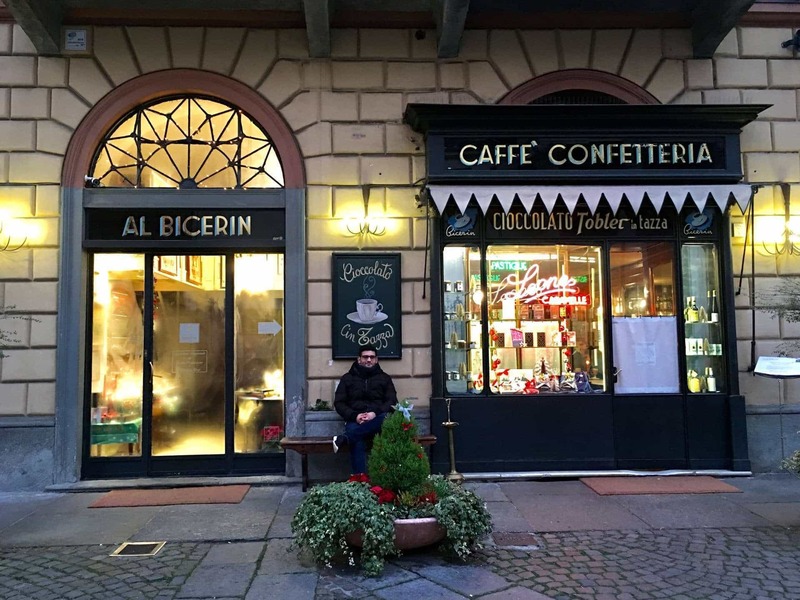 North of the city centre, Caffè al Bicerin has been the home of Turin’s classic hot drink since 1763. That’s a long time making Bicerin, and when you walk into their tiny and cosy cafe you quickly get a feeling of their history. The entire place is made up of a dark varnished wood — from the walls to the furniture — and on all of the marble-topped tables you’ll find a tall red candle for a warm and romantic setting. Let me tell you: when you’ve been walking around Turin in the freezing cold and walk into a place like this, you won’t want to leave anytime soon. Mention the mix of espresso and hot chocolate and people automatically start thinking of mocha — I know I did! Once you actually take your first sips though it’s hard to notice anything else but that beautiful, rich chocolate and the cold fresh cream on top. There’s a hint of espresso in there, but the chocolate and cream take centre stage for a soothing and refreshing drink. 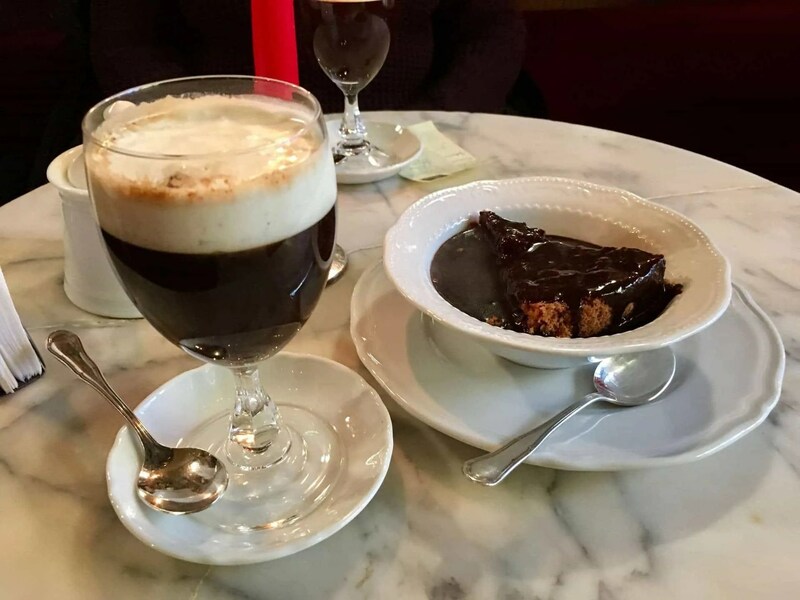 Having tried a variation of this famous drink at Baratti & Milano, one of Italy’s luxury cafe chains, the Bicerin from Caffè al Bicerin wins hands down. Where Bicerin from Baratti & Milano uses frothed milk, the fresh cream used in Caffè al Bicerin adds a much creamier texture with every sip. Another noticeable difference in flavour of Caffè al Bicerin is the richer hot chocolate which tastes incredible. In a nutshell, if you want the best and original Bicerin in Turin you need to visit this cafe. The environment inside is warm and cosy, the staff is very friendly and approachable (even if you don’t speak Italian), and best of all the Bicerin tastes heavenly. I can’t wait to go back for more.